Camfil APC is the world's leading manufacturer of industrial dust, mist and fume collection systems. They are a division of air filtration company Camfil, based in Sweden. 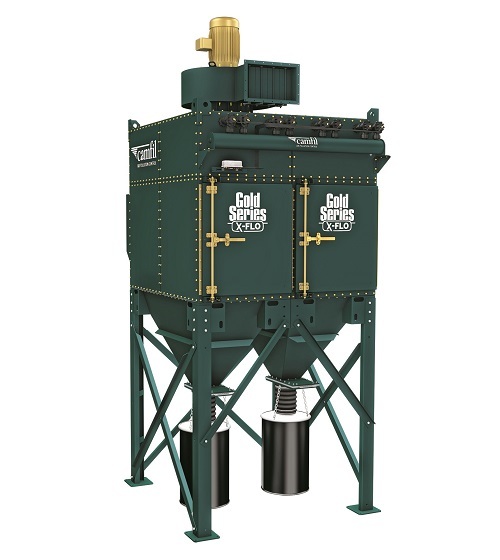 Camfil APC’s flagship product is the Gold Series X-Flo (GSX) dust collection system that handles all kinds of toxic and combustible dusts and fumes, including fine, fibrous and heavy dust loads. The GSX exceeds OSHA mandates for factory air quality, and when equipped with a Camfil explosion vent, offers the highest combustible dust explosion protection in accordance with NFPA and ATEX standards. In addition to equipment, Camfil APC offers a full range of replacement filter cartridges using HemiPleat® and Gold Cone™ technology. Camfil also manufactures aftermarket replacement filters to fit most other dust collector brands. Replacing standard filters with Camfil HemiPleat filters increases any dust collector’s performance, and the filters last much longer.